You can play the Gorgeous Bonus by getting a Bonus symbol in both the first and fifth reel, regardless of whether they land on a line that you have wagered on. 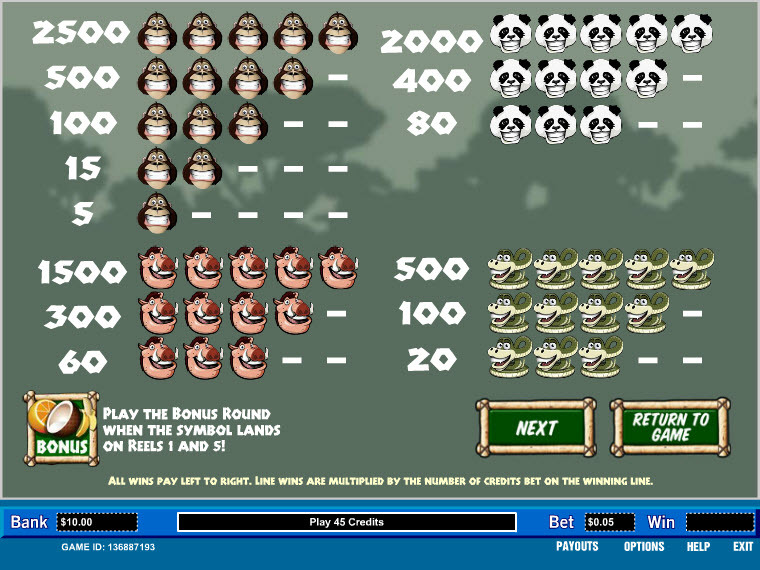 In this game, test your skills by dropping up to five chips down the game board, past the pegs to receive a bonus of between 3 to 5 times your coin bet per line. The game ends once you have used all five chips, or until one of your chips falls into "The End" box. 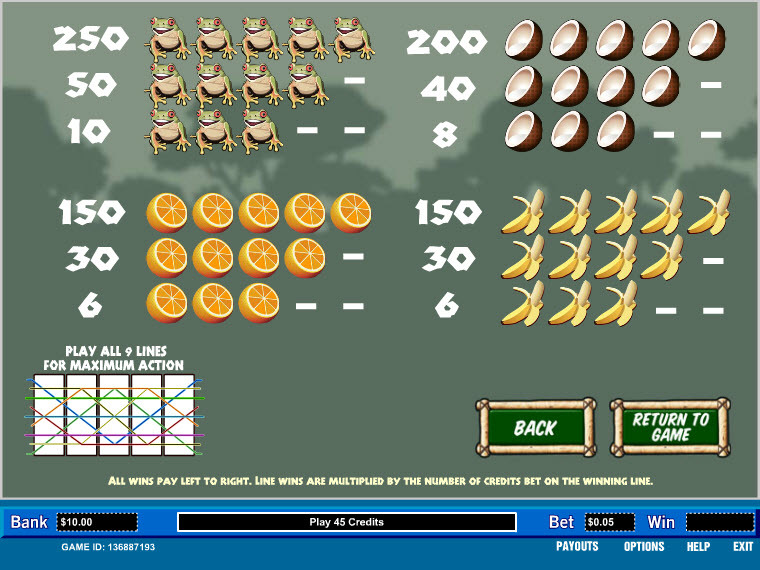 The bonus amount won will be a sum of the total prize amounts multiplied by your bet per line wager. 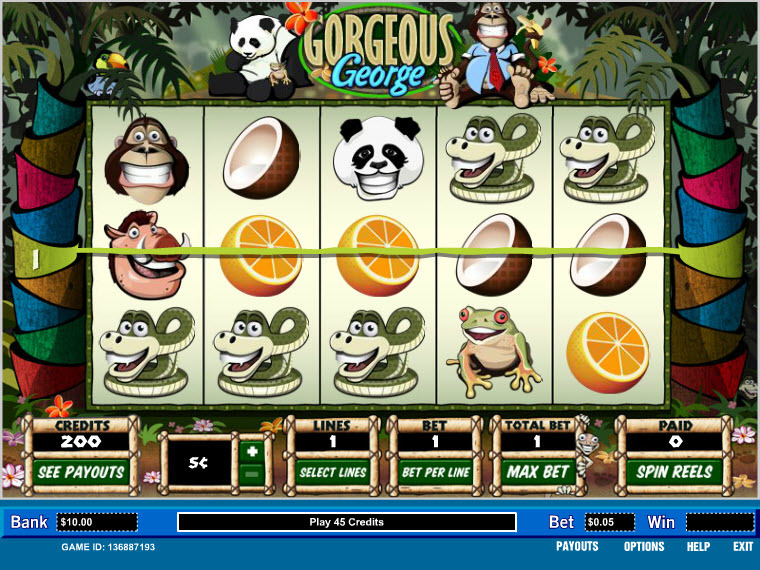 Similar Slots: If you like Gorgeous George, you might like these other slot machines from Parlay: Citrus 7s, Fire and Ice, Karat Crazy, Living Large, Makin' Bacon, Rainforest Riches.